We have two AC units outside of our home along the walkway to our deck and they are not super attractive. The other issue is that they take up a “lot of real estate” because of how they were placed during construction. They sit 30″ from the wall and five feet apart. To hide them, a large fence was built around them. It’s a challenge to get behind the fence and clean it out when the leaves fall because you have to squeeze past the end of the “run” which leaves an opening of approximately 12″ (from the house). A couple weeks ago, one unit finally decided to die…right before our family guests came. Perfect timing! When the HVAC company came to replace it, we had to remove a large section of the existing fence to allow them to install it. There was NO WAY they could lift it over the fence or squeeze through the small opening with it. Now that it’s exposed, I can’t NOT think of a way to improve it. 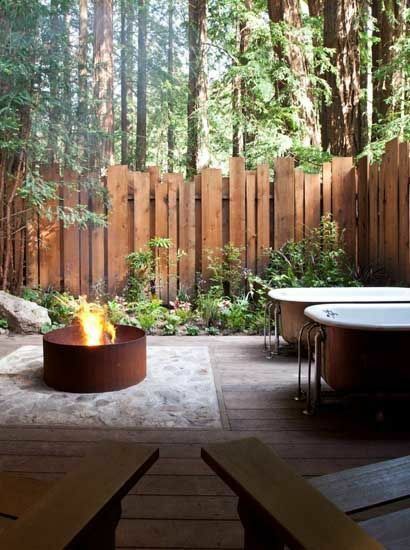 Hence all this fun inspiration of privacy fences and ways to hide the ugly…the things you don’t want to see. 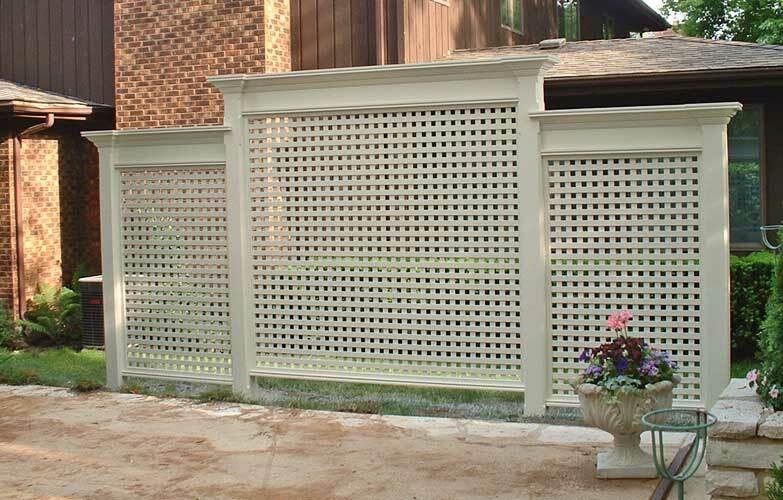 I chose to look at privacy fences versus “DIY projects to hide AC units” because there are so many more ideas you can find when you Google that phrase…”privacy fence“. Some of these ideas you can DIY. Others you might need a little help on. It truly depends on your skill level, determination and willingness. These look to be 4″ x 4″ posts that are staggered. I like how they incorporated planters in front which would be perfect for our herbs that we grow. I also like how the open spaces seem to lighten the mass of the wall. These herringbone panels are hung from the beam above them. 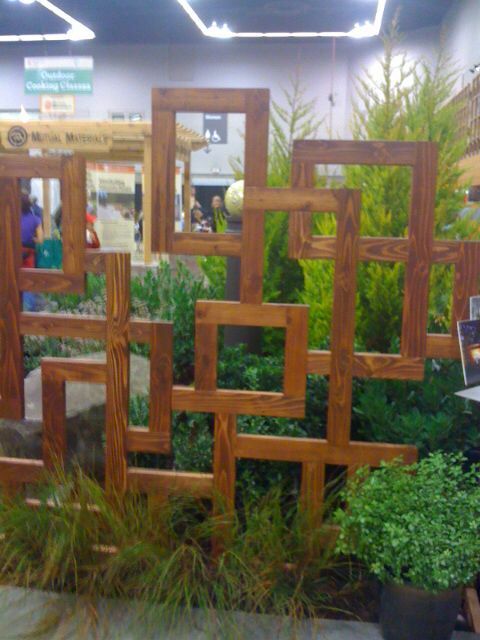 You could make these out of 1x4s or even pallet wood, depending on how rustic you’d like them. If you use pallets, your total cost would be close to nothing (zero dollars)! I think this wall is just gorgeous! I can’t quite figure out how they built ot due to the thickness of the “basketweave”. This option could get pricey, but the inspiration is there. 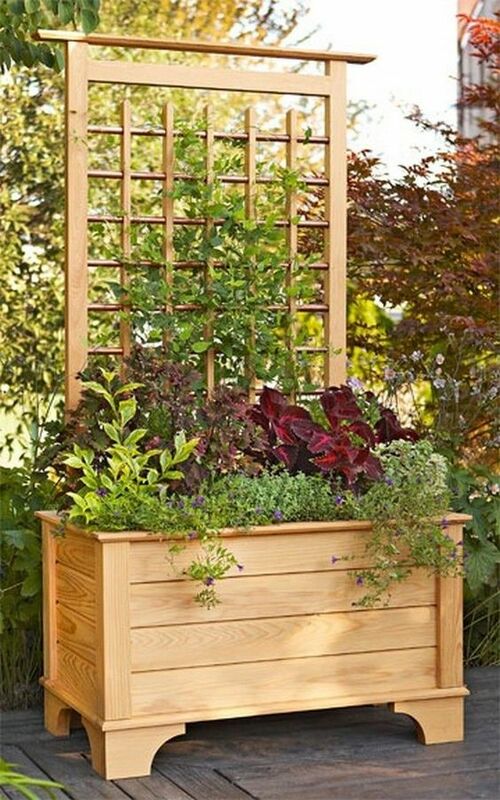 Great idea for raised planter with open screen. It has a zen feel to it. 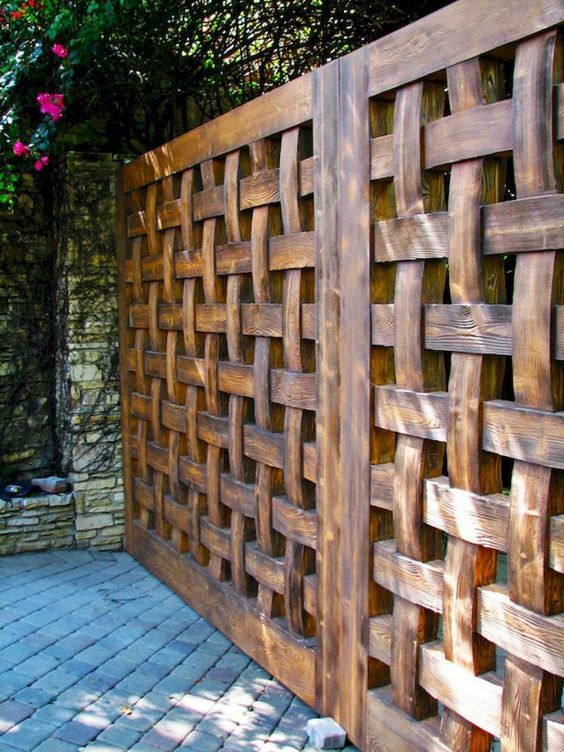 This is a system you can buy, but I feel confident that you can knock off a similar look with lattice. 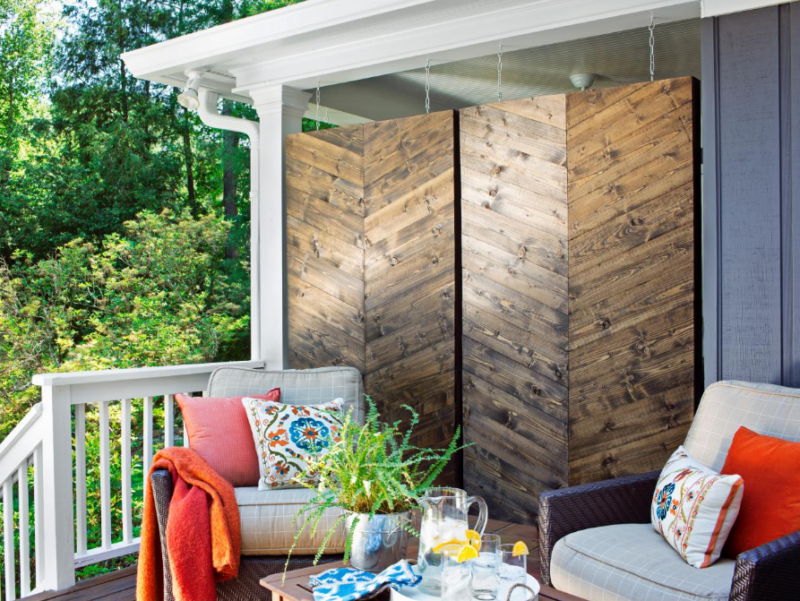 Running the boards horizontally, and varying the width of the boards provides you with a modern feel to this privacy fence. I like the spacing between the boards as well which allow a little peak a boo effect through them. 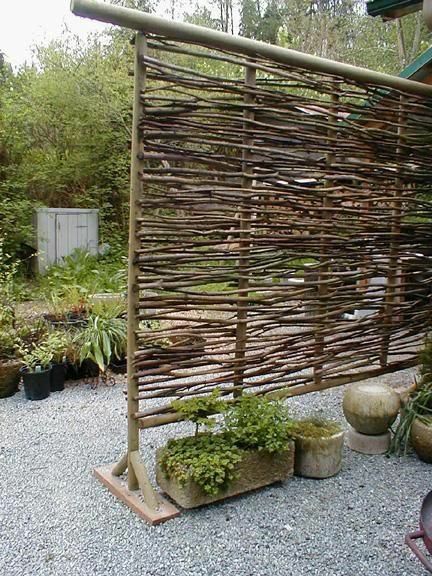 I do like how they brought copper pipe into the design of the screen to allow the vine to grow. If you like this look, be sure to click on the link above and/or photo to access the free tutorial. I wish I would have seen this idea when my kids were small. 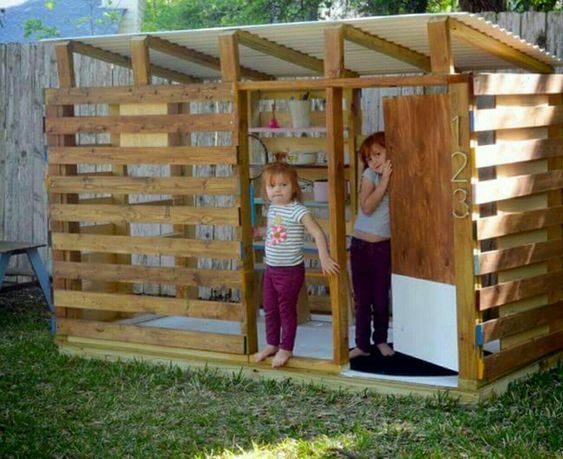 They built this little playhouse from pallet wood, plywood and 1x4s, and 2x4s. The spacing in the wood slats helps with air flow. While it’s not a privacy fence...it’s still fun to see. 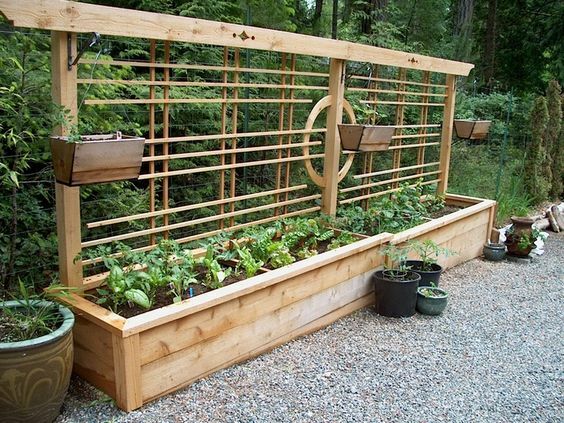 It’s gives the garden a whimsical feel since the vertical boards vary in height. If you’re the type of person who likes precision and uniformity, this may not appeal to you. If you’re the type of person who embraces a little randomness, I say, “have fun with the pattern and throw caution to the wind”. This screen will require a little forethought. Easy enough to make if you lay it out on the ground and assemble it once you’re satisfied with the pattern. Start by drawing the design on paper. Get 2x4s for sturdiness, measure twice and cut. If I were making this, I might wing it and lay it out as I go. With all the trees we have in our yard, we could find plenty of branches to work with. All that means free materials, minus what we need for the supports. Here are a few other basic shapes and ideas you can think on. Think about what you want to hide. Do you prefer traditional or modern? 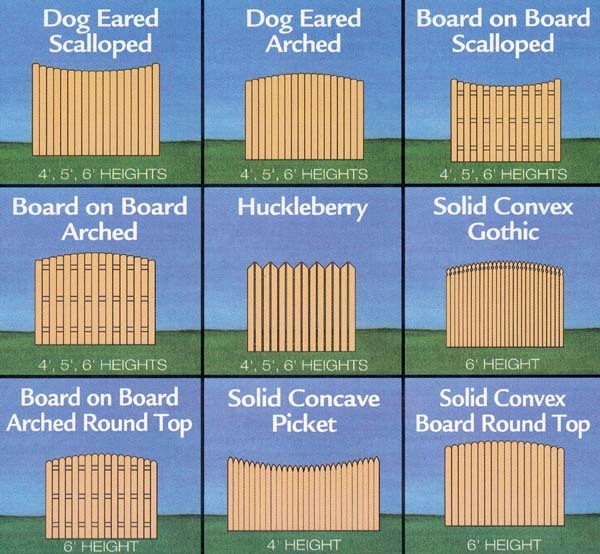 Do you want a solid fence or see through fence? Do you want it rustic or refined? Do you want planters or a bench? Do you need a gate to access what is behind it? Write out your wishes/answers and then start searching. Create a Pinterest board and save all your ideas there. This is a helpful way to organize your project inspiration. You can even make a board private and share it with another. I’ve had private boards with design clients before. It’s a fun way to pin inspiration for another to see, especially if you live apart. If you don’t know how to create a Pinterest Board click here. Till then…here’s to hiding the ugly!